Two Hemel Hempstead snappers are now in the spotlight themselves after receiving recognition from the Guild of Professional Photographers. 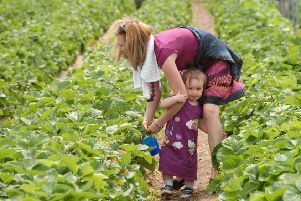 A pair of children’s, family and lifestyle photographers who each live in the town were finalists in their category of the Guild’s Photographer of the Year awards, with Nina Mace of Leverstock Green scooping the top title. The contest, which is a culmination of a years’ worth of competition, is hotly contested with over 10,000 images entered by photographers from all over the UK and Europe. Nina was also awarded the only gold bar in the children’s category and went on to win the accolade with a total of 27 award-winning images. Meanwhile Sally Masson, who is also based in Hemel Hempstead and works with families all over the country, become a Top 10 Photographer of the Year in the same genre. Nina specialises in outdoor photography and works with families in and around the Hemel Hempstead, St Albans and Berkhamsted areas – creating atmospheric shots in many of the region’s beauty spots including Boxmoor, Gadebridge Park and Bunkers Lane. Nina also offers Beginners Photography Training for parents and mentoring for up-and-coming lifestyle photographer, having taught more than 100 mums and dads tips and tricks of the trade already. Nina’s work has been featured in many magazines and recently featured by Vogue, while Sally has had commissioned travel work and is even undertaking a project with the BBC Worldwide team. Speaking of her own achievement, Sally said: “I am truly delighted to have won Top Ten, it’s a fantastastic achievement and one I have worked so hard for. “It’s been a great year, I’ve met so many wonderful people and look forward to meeting and working with many more this year, I am very proud to have photographed families from bump to newborn to christenings and then siblings – families have become friends. The Guild of Photographers is the highly regarded national photographic body whose members are dedicated to enhancing their skills in the art, craft and profession of photography. For more from each of the superbly talented ladies, visit www.ninamacephotography.com and www.sallymasson.com, or search on Facebook.